Iowa City is a city in Johnson County, Iowa, United States. It is the only City of Literature in North America, as awarded by UNESCO in 2008. Our subtopic for this symposium is Transnational Communities in the Midwest. The movement of people, media, language and literacies that gradually flows back and forth between two or more nations in a sustainable manner is called transnationalism. Among these, language and literacy are the most important elements to maintain proficient bilinguals, and this is particularly true for Spanish heritage speakers in the United States. The Spanish-speaking population in the Midwestern states have grown significantly but the research has not kept pace with the changes of these communities especially in rural areas. a venue to address and articulate those gaps. Even in contexts where there are specific courses or programs for Spanish heritage speakers, in upper-level courses, heritage and L2 learners are enrolled together in mixed classes. How can we meet content and cultural learning goals and promote continued language development for all students without pulling our hair out? Instructed SLA research provides a basis to guide our pedagogical decisions in such classes, given decades of research on content-based instruction (Bowles, in press; Montrul & Bowles, 2017) but the proliferation of terms in the field can be a bit like ‘term soup’. In the first part of this workshop I will discuss one particularly misunderstood term - focus on form – explaining what it is (and what it is not) and show some real examples of how focus on form has been implemented in mixed content classes on a range of topics (e.g., Spanish in the Professions, Bilingualism, and Phonetics). Then in the second part of the workshop participants will reflect on a mixed class they teach and come up with an area where students need focus on form and plan an effective way to incorporate it. Spoiler alert: we’re not going to be doing drills, focusing just on grammar, or restricting students’ creativity. Rather, you’ll learn how to build on what your students already know and help scaffold in the language they need to express higher-level functions on the ACTFL scale, which Swender, Martin, Rivera Martinez and Kagan (2014) have argued is key to helping HL learners develop skills to use their heritage language in professional settings and expand their linguistic repertoire. Participants will come away with not only a better understanding of how to plan an appropriate focus on form in advance, anticipating students’ needs, but will also have strategies to be flexible and provide focus on form in the moment, as a need arises in class. Telecollaboration (TC) is a pedagogical model that uses digital communication to connect learners from different colleges in order to advance specific projects. The telecollaborative model presented in this workshop is designed to promote development of literacy skills of heritage language learners (HLLs) while helping them navigate their complex and often contested social reality through (a) conversations about language and identity that cut across communities and national origins; and (b) opportunities to investigate and compare the past, present, and future of Latino communities around the US. This workshop will guide participants through the design of a successful TC module for a heritage Spanish course. The module was developed by the Center for Integrated Language Communities (CILC) and piloted at Queens College (New York City) and St. Xavier University (Chicago). Participants will explore open-source pedagogical materials and communication tools, including the TelePlaza portal, a new platform to connect with other US-based instructors interested in finding a partner for a Heritage telecollaboration project. Los hablantes de herencia forman un grupo muy heterogéneo. ¿Cómo se distinguen y por qué es importante tomarlo en cuenta en el salón de clase? ¿Cuáles son algunos principios generales del español de Estados Unidos y, basándonos en ellos, los papeles relevantes más favorables de los maestros que enseñan a los hablantes de herencia? ¿Por qué es importante que los maestros sepan algo sobre las diferentes variedades del español del mundo? A través de la presentación de datos y de actividades dinámicas grupales, se espera brindar mayor capacitación a los maestros para que puedan fomentar exitosamente entre sus estudiantes tanto la autoestima lingüística como la capacidad comunicativa en español. 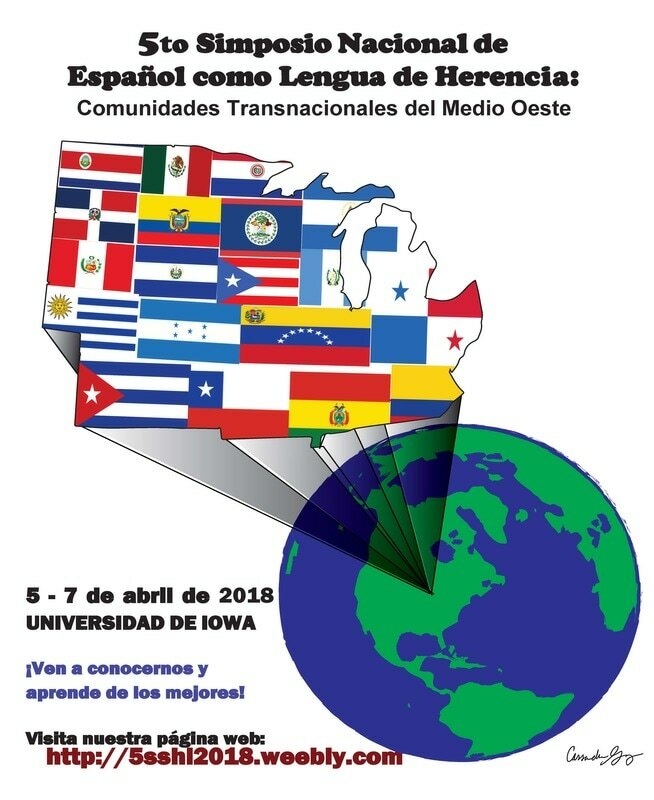 This roundtable focuses on the hegemonic nationalist language ideologies in the U.S. that promote a monolingual English-speaking norm and on the marginalizing effects they have on Spanish speakers. We also address the ways in which these language ideologies may permeate our teaching and assessment in the classroom. Students of Spanish as a Heritage Language (SHL) have historically been taught through a deficit-based approach in which non-standard varieties acquired at home and in their communities are treated as erroneous rather than as assets. Even today, many university SHL programs center on these expansion approaches, where in fact critical approaches offer SHL learners’ stronger opportunities to develop proficiency in their own language varieties and in other varieties as well. We examine the language ideologies we bring to the curricular development of our SHL courses and to Spanish language courses in general. The goal is to create a network of support for educators interested in bringing the critical study of language ideologies to their classrooms in order to empower our SHL and L2 learners and to promote critical language awareness among all teachers and students. Conversatorio sobre las comunidades transnacionales de habla hispana: historia, modernidad y el futuro del español como lengua de herencia en el medio oeste de los EE.UU. ¿Qué es el transnacionalismo? En este conversatorio debatiremos sobre las conexiones humanas que se crean por medio de las historias orales y la literatura a través de las fronteras. Discutiremos los desafíos socioculturales de esta noción y entenderemos los patrones migratorios de las comunidades hispanohablantes que viven en el medio oeste de los Estados Unidos. Hablaremos sobre la historia del español como lengua de herencia en el medio oeste y el público compartirá sus experiencias con el panel. La meta de este conversatorio es elaborar un modelo para la preservación del español en esta zona central del país y entender la importancia del mantenimiento de las lenguas que heredamos.